An Aberdeen-based maritime specialist has launched 500-metre Zone Management training courses to address concerns raised around offshore installation safety zones. 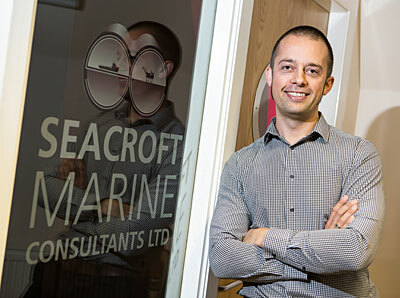 Seacroft Marine Consultants is aiming to raise awareness of the need to control marine operations inside the 500-metre zone as the HSE highlights worries around the control and monitoring of vessels attending installations. With 97% of collisions occurring within the 500-m zone involving vessels there on legitimate business, the company can offer guidance, recommendations and training courses on how to improve existing practises and safety. “Seacroft is able to advise on the responsibilities of an offshore installation’s operator and provide training to improve safety levels and best practice. The Industry has also recently published more robust guidance, which would also make a difference to all stakeholders and oil companies to give assurance against the risk of a major catastrophic incident, loss of productions and costly damage to their facilities,” continues Cowlam. The safety zone is the area extending 500-m from any part of an offshore oil and gas installation, and is established automatically around all installations which project above the sea at any state of the tide. Subsea installations may also have safety zones to protect them which are created by statutory instrument. They exist to protect both the safety of the people working on, or in the vicinity of the installation, and the installation itself.